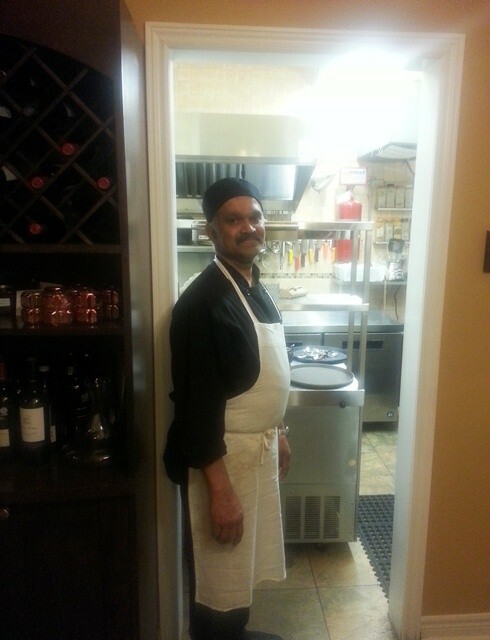 We recently paid a visit to a charming restaurant in Aurora, called Bijoy’s Restaurant, and we are so glad we did. First off, we call Bijoy’s charming because of how adorable this little gem of a restaurant is. The owners, Bijoy and Sujata transformed one of Aurora’s small heritage homes into a restaurant in 2009. We were greeted warmly as soon as we entered Bijoy’s Restaurant. 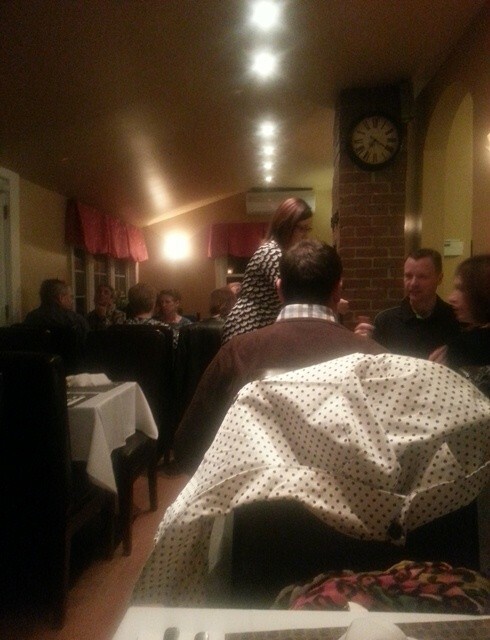 It was apparent quickly that the quaint and warm nature of the restaurant was reflected in their friendly staff. Our server, Julia, was fantastic. She was extremely knowledgable about the menu, making great recommentations, super attentive and friendly. And we loved how excited she was to find out about TNL! We also met owners, Sujata and Bijoy. Bijoy and Sujata are chefs with 30 years of experience in 5-star hotels, and trained at the Culinary Institute of America in New York. Their roots are in Kolkata, India, and they lived in Europe, before finally making their home in Canada 25 years ago. Their passion for cooking for others and the love of meeting people, has culminated in this restaurant. Both were so sweet and welcoming, we were so happy to have had the opportunity to chat with them. Isn’t this always the best part? 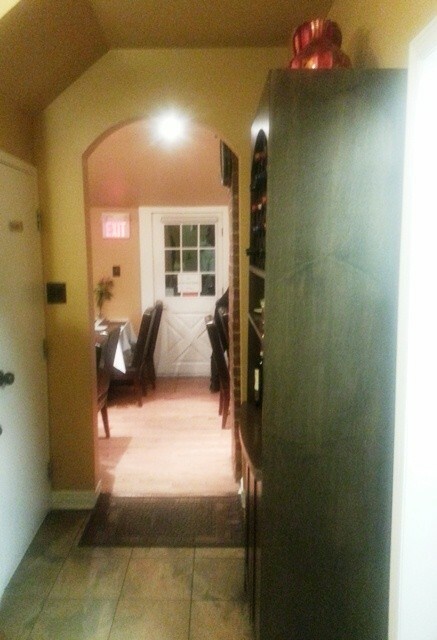 A fantastic perk about Bijoy’s Restaurant is that they allow you to bring your own bottle of wine (BYOW). The restaurant charges a corkage fee of $15.00 for a 750 mL bottle of commercially produced wine and you better believe we took advantage of that! There are not many restaurants in the GTA that offer the option of bringing your own wine, so we were pleased to see this at Bijoy’s. 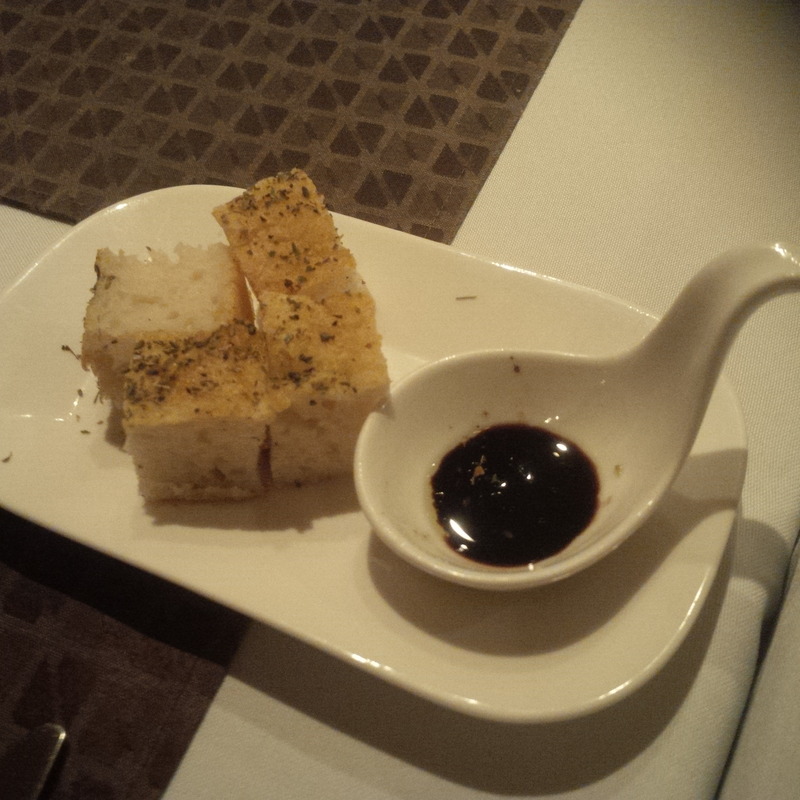 Preceeding the meal, we were brought some bread with oil and balsamic. This was quite simply, some of the most delicious foccacia bread that we had ever tasted. For apps, we chose two for the table. It is often hard for us to turn down crab cakes , so this was an obvious choice. Bijoy’s version was some of the best we have ever had. They were impeccably seasoned and chock full of crab meat. We later learned during our chat with Sujata that the restaurant makes their crab cakes with chick pea flour. This is a must have. Our second appetizer was just as delicious…Baked Brie with pear marmalade . Oh em gee. You know we love us some cheese and this was just out of this world yummy. The appetizer portions were perfectly sized although we could keep eating those crab cakes and brie FOREVER. For our main dishes, Ash chose the Surf and Turf. 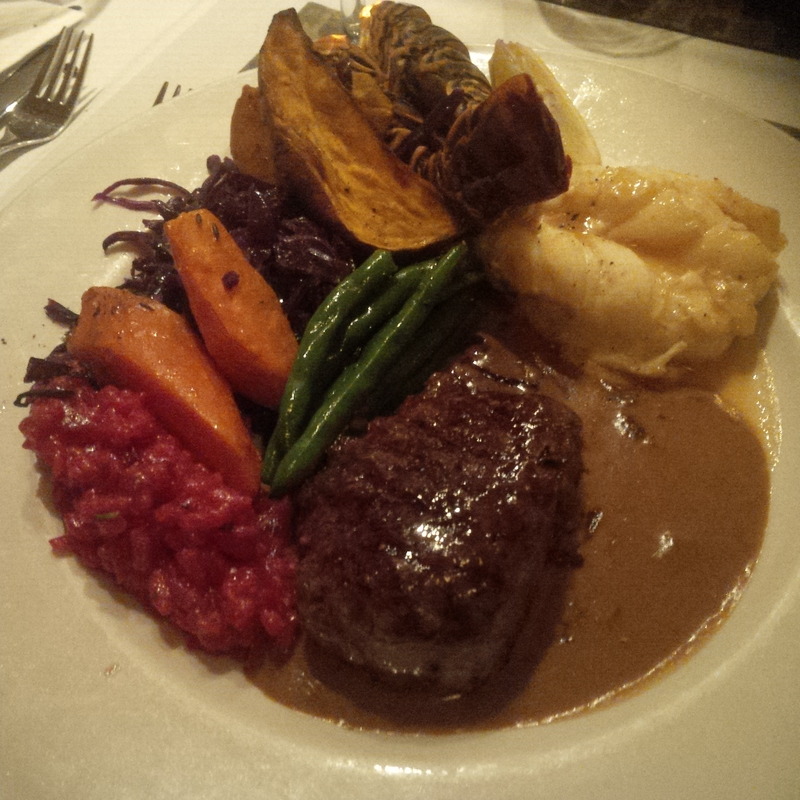 It featured beef tenderloin and a lobster tail. You also have the option of ordering the meal with scallops. The beef was cooked to perfection, as was the lobster tail. 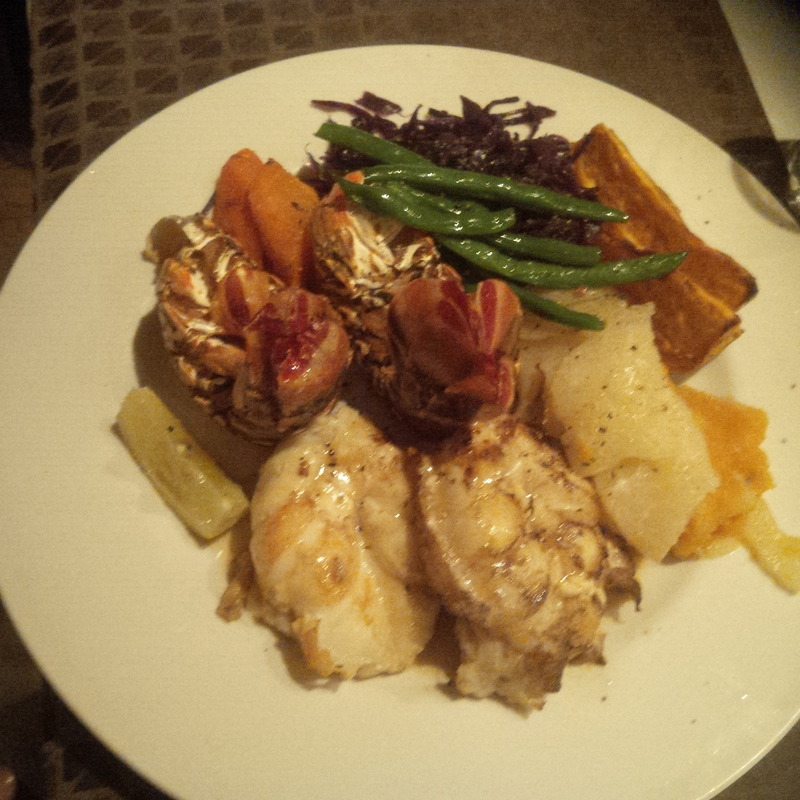 Chris chose the Lobster Tails as her meal, and she was not disappointed. Both meals were served with your choice of seasonal vegetables and risotto or scalloped potatoes or rice pilaff. Ash tried the risotto while Chris went with scalloped potatoes. Because we simply had not eaten enough ( HA!) at this point , we also ordered dessert. What kind of bloggers would we be if we didn’t try everything, right? 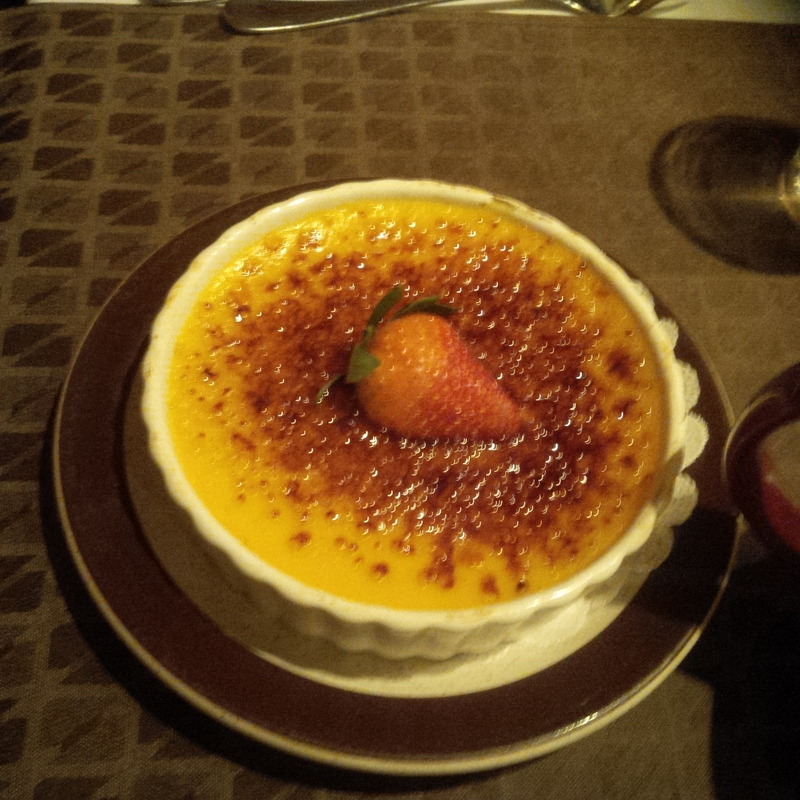 Chris chose Mango Creme Brulee and Ash had a Cranberry Sticky Toffee Pudding. Both desserts were insanely delicious. We really wish that we had thought to take pictures of our faces when we took first bites, because then you might understand. They were that good. 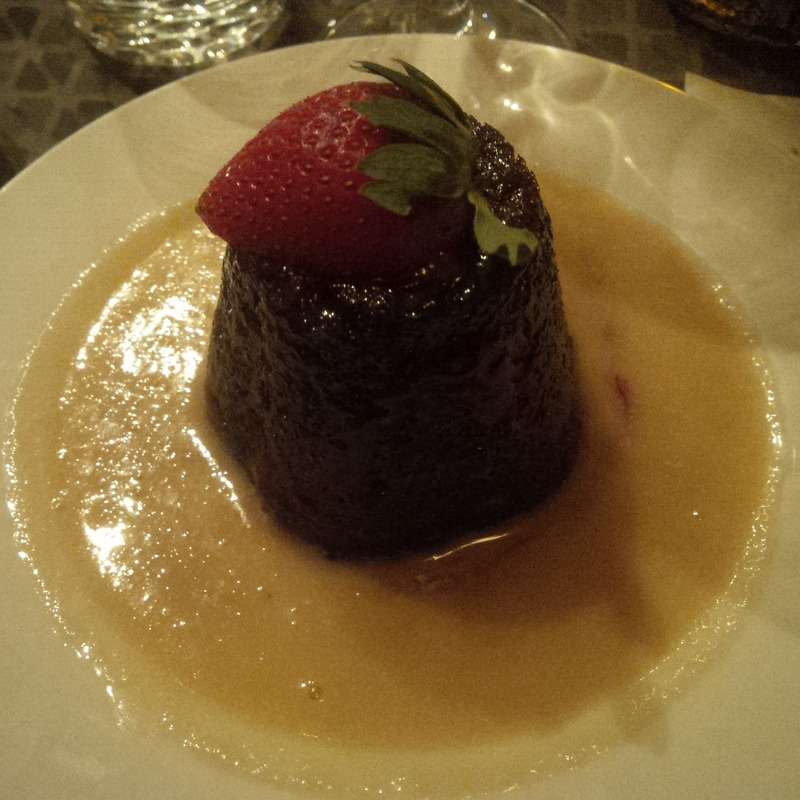 We paired dessert with selections from Bijoy’s extensive tea list. 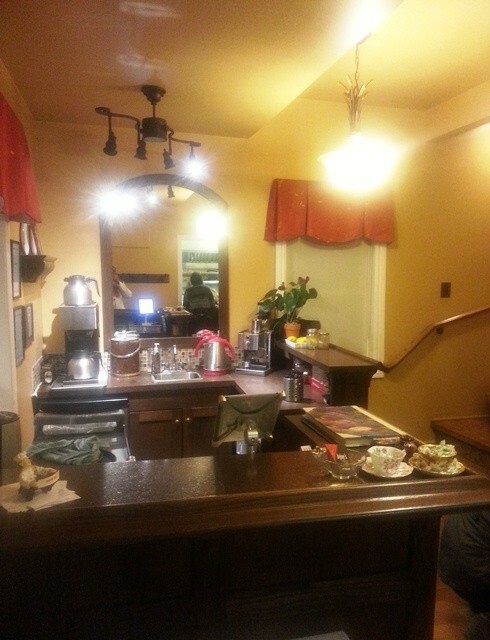 (They also serve afternoon tea on Wednesdays and Saturdays, by reservation only). We can honestly say that every single thing we tasted at Bijoy’s restaurant was fantastic. The menu has obviously been selected with care. Everything was flavourful and expertly prepared. Meals are priced between $22 and $35 at Bijoy’s Restaurant. Appetizers and desserts are all under $10. Very standard pricing, and the food here is certainly top quality. Add to that the charming ambiance of this quaint restaurant, and the value is great. The option to BYOW (Bring your own wine) is certainly economical. Even with the corkage fee, it is better value than purchasing wine by the glass or bottle in-house. We really enjoyed our experience at Bijoy’s – from the warm welcome by the staff to every morsel of food we had. We couldn’t stop talking about it on the ride home (you had us at brie!). We would definitely return – and are plan already planning to! 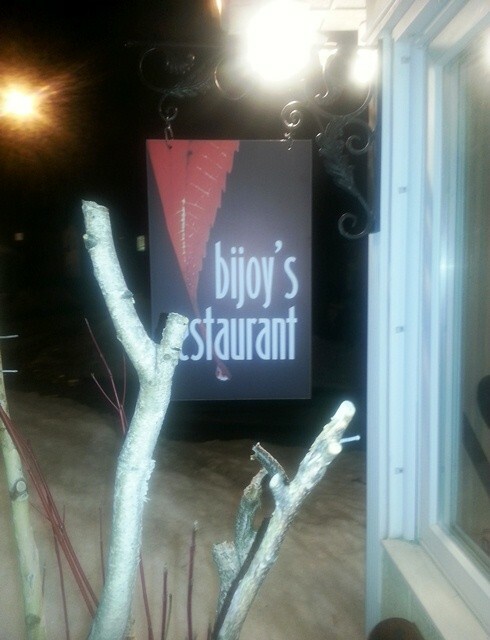 Bijoy’s Restaurant is located at 42 Temperance St, Aurora (905) 727-7149.